We recently received an email from one of our regular customers telling us about his unusual pet. He owns one of our very own Australian icons, a dingo called Banjo. Banjo, according to Chris, is the perfect pet. He does not bark, bite or fight. He is very well behaved and extremely clever. Banjo was originally destined to travel to the Tokyo Zoo but fate intervened and instead he stayed on his home soil and became a loyal companion to Chris. Banjo has recently celebrated his fourth birthday and is in excellent health. Chris contributes this partly to using quality products that he purchases from us. Dingoes arrived in Australia about 5,000 years ago originating from Indonesia. 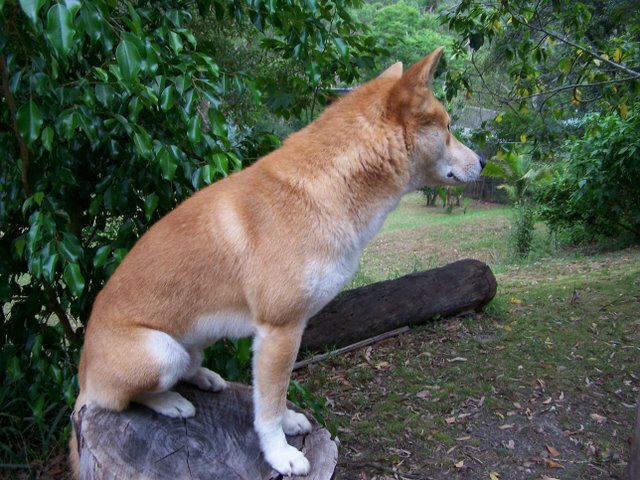 Dingoes occasionally howl but do not bark. They are the largest of the native carnivores and play a very important role in the balance of nature.